Ozzy Osbourne's career has spanned over 4 decades. Osbourne, A.K.A. "The Godfather of Heavy Metal" & "The Prince of Darkness" rose to prominence as lead vocalist of Black Sabbath, a band that spawned the heavy metal genre. Ozzy Osbourne is synonymous with controversy. His dark sound of doom coupled with substance abuse, dangerous stunts and rumors of satanism & biting off bats heads has earned him a creepy mystic like no other. In 1980 Ozzy released the album "The Blizzard of Ozz" with a new band that was aptly named, "The Blizzard of Ozz" which contain the hits "Crazy Train" and "Mr. Crowley". This album received quadruple-platinum status without ever having a Top 40 single. It's hard to sum up a 40 year career in a few paragraphs. 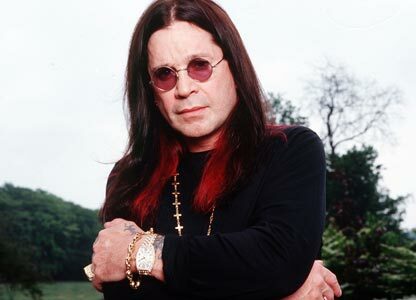 Nowadays, Ozzy has gone on to sobriety, a reality show, creating Ozzfest as well as many successful albums and awards.